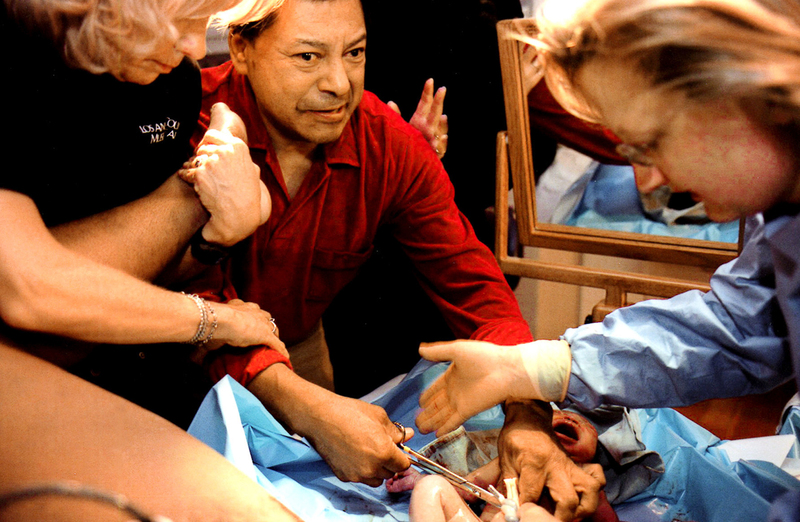 Medical staff and interpreters guide an excited Roy Rios in cutting the umbilical cord of his new daughter, Shanice Morgan-Rios. "I hope my baby is not born deaf-blind with Usher\'s syndrome, like me," said Rios, who is deaf-blind and has three other siblings with the disease. Usher's is hereditary, there is no trreatment or cure. Rios already has a son, who was born without Usher's. Tests show that his daughter is able to hear. Doctors will test her later to determine whether she has any vision problems.